HTC Hima, which is the codename for the HTC One (M8) successor, may not be announced at the upcoming CES and MWC events in January and March. According to @upleaks, the HTC Hima might get its own event after the MWC. The HTC One (M8) also missed the two big forums in early 2014 and got a separate premiere later in March. Maybe HTC will be doing the same thing with its successor - the HTC Hima. In case you've missed the news, HTC Hima will be succeeding the HTC One (M8) in early 2015. The new flagship is rumored to pack a 5" 1080p display, Snapdragon 810 chip with an octa-core processor, a rear 20.7MP cam and a front 13MP or UltraPixel selfie snapper. Naturally, Android 5 Lollipop and HTC Sense UI 7.0 should be in charge of operations. 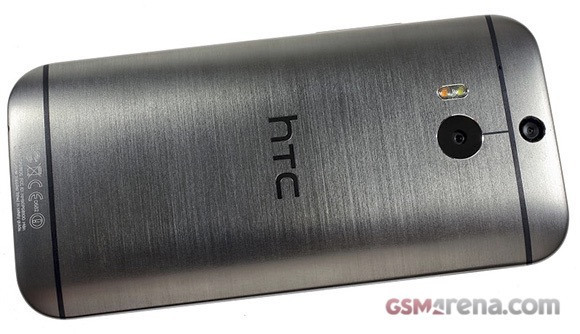 Recent news has also revealed the HTC Hima will be launched in gray, silver and gold flavors, quite similar to HTC One (M8) paintjobs. We'll be keeping you in the loop as more info comes in. @HTC is this phone IPX7 certified??? well, now it should be an IPX rated phone these days. And its good that its 5'inches only. note 4 and lag are two things that dont go togather mate. if the user interface is not well tuned for 2k you'll get issues but on my note 4 there is no such. 2gb ram is Enough for htc,m9 is 3gb ram waaaaaoooo.....amazing.